The Olkola People, CSIRO researchers from Cairns and Townsville, and the Tropical Indigenous Ethnobotany Centre (TIEC) are working together to look at ways they can use the Atlas of Living Australia (ALA) to share and use knowledge that can help care for country and encourage Traditional Owners to contribute to and use the ALA. This pilot project intends to build on past and current efforts of the Olkola people to record and secure their cultural resources and aims to combine traditional knowledge and customs with the latest ALA science. help build trust between the ALA and Indigenous groups. Work on the ground for this project will start in the middle of 2015, toward the end of the wet season. At this time we would like to introduce ALA users to the Olkola people. In December 2014, nearly 700,000 hectares of ancestral land was returned to the Olkola people. 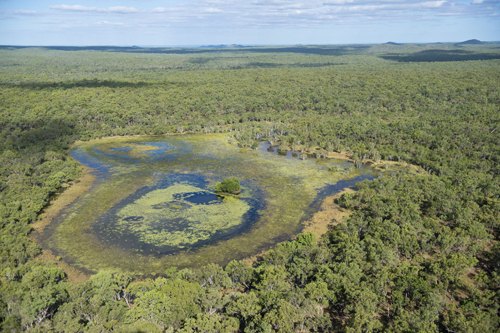 Under the handover Olkola National Park, an area covering 269,830 hectares was established and will be jointly managed by the Olkola people and the Queensland government. Olkola country sits in a unique position along the northern end of the Great Dividing Range with the headwaters of five rivers that flow into both the Coral Sea and the Gulf of Carpentaria. Habitats of extensive wetlands, rare and unique tall open forests, remnant rainforest refugia and intact landscapes of savannah woodlands will be managed by the Olkola people. Also on Olkola country are nine threatened regional ecosystems, (active Golden Shouldered Parrot nesting sites), two species of plants listed as threatened under the EPBC Act, as well as bora grounds and sites of cultural heritage and significance to the Olkola people. Five clan groups make up the Olkola people, and each clan group speaks for their respective country and hold special significance and value to story places and animal totems associated with landscape features. Rock-art, scar trees, burial sites, sacred sites occur across the landscape. Olkola people are returning to their ancestral country and are actively engaged to restore their values for their country and ensure these are properly managed. 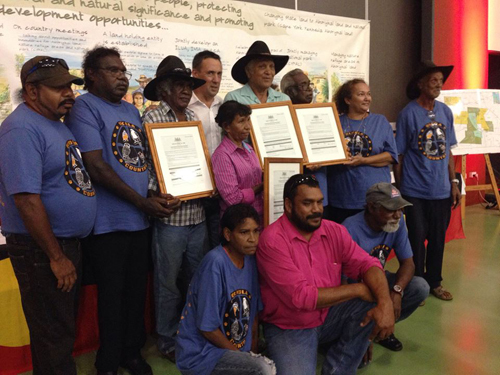 The Atlas of Living Australia is currently supporting two Indigenous Ecological Knowledge (IEK) pilot projects. These projects are aimed at exploring and encouraging two-way knowledge sharing between traditional land custodians and the Atlas. More information on the Yugul Mangi pilot project can be found here.